“Incident occurred between journalists of Radio Culture reporting at Ngagara neighborhood, Section 10 and police agents,” Nestor Bankumukunzi, chairman of Burundi media regulator (CNC), told journalists. The three journalists were reporting on land dispute between two families. “The presence of these journalists would have been interpreted as a catalyst for conflicts between two families, “says Nestor Bankumukunzi. He regrets that the security agents did not allow them to do their job despite they revealed their personal identities, regrets Bankumukunzi. The journalists accused the police of abusing them and confiscating their equipment. 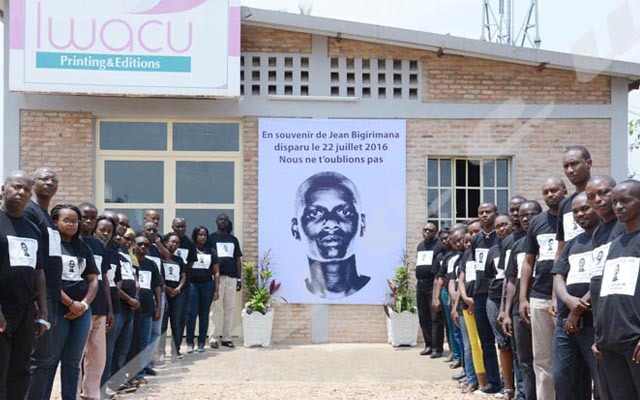 According to Bankumukunzi, these journalists were mistreated in violation of Article 11 of the law governing the press in Burundi stipulating that “journalists have the right to their security of their persons and their equipment on Burundian territory. These journalists could not complete their mission, according to Bankumukunzi. CNC condemns this incident and hopes that this kind of situation will not happen again. Pierre Nkurikiye, the spokesman for the Ministry of Public Security, rejects these accusations. He accuses the journalists of having not revealed their identities to police officers who were assigned to this place and of having used force. “These journalists were supporting one of the conflicting parties,” Nkurikiye says.